Star Naturals Sunscreen in the Press..
As seen on the Environmental Working Group's "Best Beach and Sport Sunscreen"list 2018 !!!! 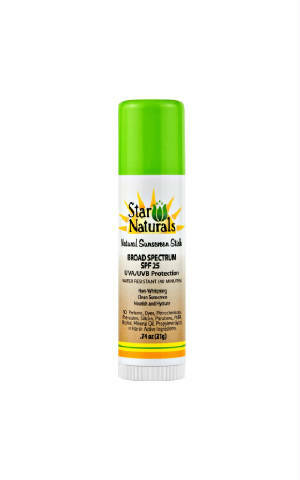 Introducing a Safe, Effective, Natural Sunscreen Stick that uses Certified Organic products. Buy Online here. Protect your skin from harmful UVA/UVB rays without the use of harsh chemicals. SPF 25 and Water Resistant.